The Fine Arts Gallery regularly hosts class visits to its exhibitions or to its art study lab to view selections from the permanent collection not currently exhibited. For a majority of the academic year, a portion of exhibition space is reserved as a teaching gallery, with faculty-requested works on view. Contact the administrative office (margaret.walker@vanderbilt.edu or 343-1702) with questions, requests, or more information about how to incorporate the Gallery’s collections into your courses. The Fine Arts Gallery also partners annually with the Department of History of Art on a course titled “Exhibiting Historical Art,” which culminates in a student-curated exhibition. 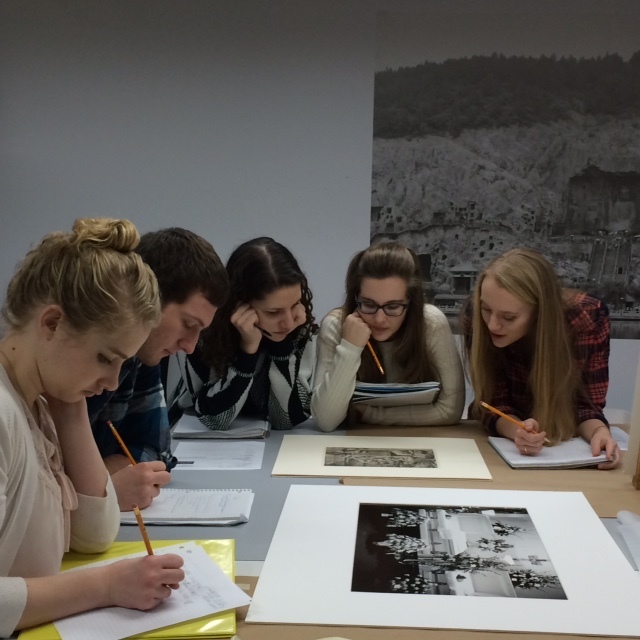 This course, led by a faculty member in the department, allows students an opportunity for in-depth study and research centered on art objects and exposure to the curatorial practice of creating an exhibition, as well as other areas of gallery work including installation and promotion. 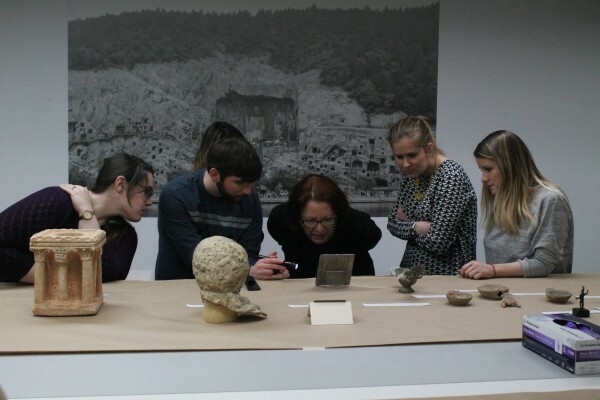 Past exhibitions from this course have included From Tomb to Temple: Unearthing Ancient China through the Vanderbilt University Fine Art Collection and Up Close and Personal: Intimate Devotions and Everyday Objects in Late Antiquity. Please note that all visitors are requested to leave bags and backpacks at the front desk. Only pencils are allowed for use in the Gallery and Art Study Lab and are available by asking a member of staff. No food or drinks are permitted in these areas.